New Brewery Partner – Red Truck Beer Co.
We’re excited to welcome Red Truck Brewery to our stellar line up of Brewery Partners! Red Truck is now available on request for Private Group Brewery Tours. 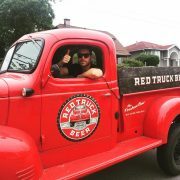 https://vancouverbrewerytours.com/wp-content/uploads/Red-Truck-Beer-Truck.jpg 960 768 Ryan Mackey https://vancouverbrewerytours.com/wp-content/uploads/logo-sm-300x60.png Ryan Mackey2015-09-17 12:10:002017-04-27 11:32:08New Brewery Partner - Red Truck Beer Co.
It’s a tough job being a brewery tour guide in Vancouver. Driving people around, watching our guests with despair as they drink what seems like an endless supply of fresh craft beer samples for hours while our tour guides can’t drink anything? 😉 Talking about brewing, craft beer styles and the Vancouver craft beer scene is something you’re passionate about and while on tour – it’s all about educating your guests while keeping them hydrated. It’s a big sacrifice to make, but someone has to do it right? Why not you? We decided to put together a little video to show you how SUPER FUN a tour guide’s life really is! It’s actually the best job in the world and we couldn’t be happier to introduce you to our city’s finest craft breweries. 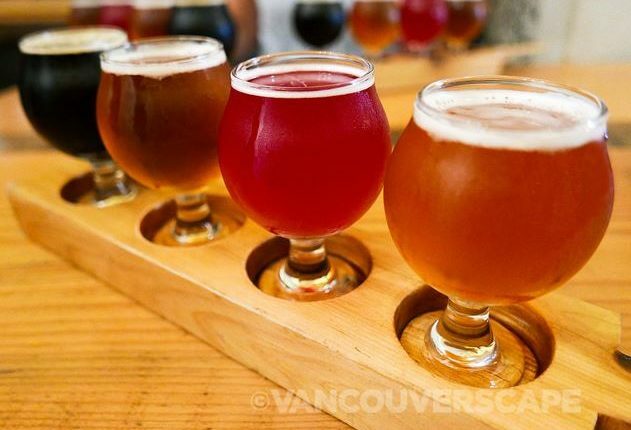 We partnered with local videographer Josh Blasman to bring you ” A Day in the Life With Vancouver Brewery Tours”. More information about joining our team here. What better gift to give a beer lover than a craft beer adventure? 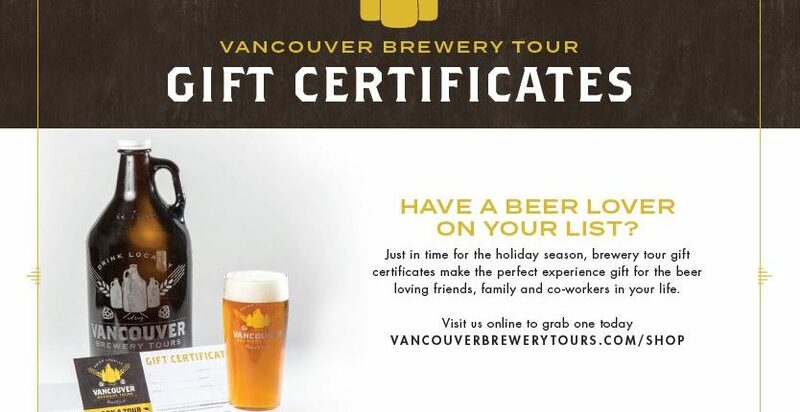 Not only do our Vancouver Brewery Tour gift certificates make the make the perfect experience gift for friends, family or co-workers, but you can rest knowing you’ve just kicked up the wow factor with a sweet present! 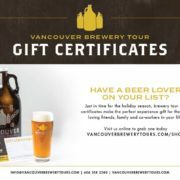 Brewery tour gift certificates are available in numerous denominations including the price of a tour of $75.00 at our Shop Page. They can be used for any of our public tours, shop page items or private tours, subject to availability. We also have Gift Packs available. Once purchased, we’ll respond within 24 hours of purchase with an email containing your coupon code for booking the tour, booking instructions and a printable gift certificate. It’s that easy. Gift certificates must be used within one year of date of purchase. 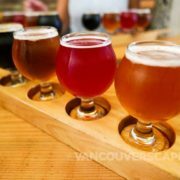 Two-year old Vancouver-based Vancouver Brewery Tours promises three breweries, three hours and plenty of beer. Who was I to refuse? 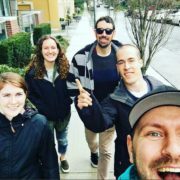 Earlier this week, I set out to meet Ryan Mackey, who was busy rounding up our group of fellow beer lovers at Rogue Kitchen & Wetbar inside Waterfront Station, the starting point for our four-hour Beer and Food Tour (Tuesday evenings, the tour includes an entrée at the second brewery stop). More information about our weekly Beer and Food Tour here.